Ethiopia. One of those countries that we all have heard but knew very little about. The mention of this country brings an exotic sound where one might imagine well-fashioned and accessorized tribes in a mountainous backdrop. That’s how it was for me at least. Luckily, that daydreaming had come to an end. The nature of my work, fortunately, gave me the once-in-a-lifetime opportunity to see this country. As I saw Ethiopia for the first-time coming out from Bole Airport, and shortly after, from the balcony of our hotel, I took a nice and long sweeping glance at Addis Ababa. “Hmmm” so this is Ethiopia. It was like any other East African countries, I thought. Ethiopia is about Historic Sights, Tribes, and Landscapes. Note that Ethiopia is nothing like Kenya and Tanzania, it is not a safari destination where you can expect to see lions and such. This is a common misconception among tourists so LEARN. Ethiopia is a history lover’s paradise with a lot of ancient landmarks. The classic must-visit ones are Lalibela, Aksum, Gondar (history and religious travel); Omo Valley (tribes and culture); and Danakil Depression, a geographic wonder— one of the hottest and lowest lands in the world. I can also recommend the 6th Century Abuna Yemata Guh church, which bristle with stories from a distant past. 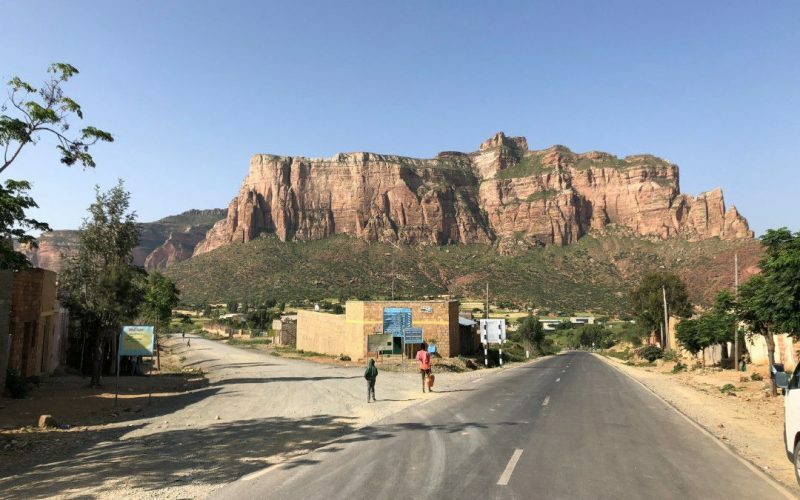 Simien Mountains are also must-visits in the country especially if you like hiking or camping but you have to be lucky with the weather or like us, you won’t see anything because of the fog. Landscape of Ethiopia is absolutely amazing. You have to drive between sights but the drive itself is a tour! There were no dull moments and you almost feel bad taking a nap for missing out on the glorious scenery. The majority of tourists will fly into the capital, Addis Ababa. Visitors have multiple options to travel. The best way is still through a Travel Operator especially if you are on a limited schedule and/or traveling with kids and/or just want to make your life easier. The historic churches of Lalibela in the north are best reached by plane. However, we were lucky enough to have the time to drive. It took several hours more than flying but it was a much better way to see the sights. You can take buses too but of course, there’s no timetable of schedule and where they stop is a mystery, and who knows when the next bus will come, or if it will ever come? I have seen backpackers in some of our lunch stops, where they have to get off in a place they have no clue about, and then figuring out which bus or van to hop next. I’m sure aspiring backpackers and my younger self will love the challenge. But today and for the rest of us, naaah. Our typical day started with breakfast at the hotel, after which, our tour guide and driver picked us up. From there, we explored the local sights, stopping for lunch in a hotel or restaurant for a set-meal or buffet along with other fellow tourists. You would notice the same faces on Day 2 or 3 and then you can tell that there are set lunch places for all the tourists. In the afternoon, you will do more sightseeing before finishing around 4pm and heading to same or next hotel. This is the routine for several days but the activities were varied and interesting. Sometimes you feel like it’s too monotonic and then you feel bad for feeling that so you start appreciating again how lucky you are for being there. The knowledge of the guides in Ethiopia were pretty impressive. You can tell that they know their history and are passionate about it. English skills is average to intermediate but definitely sufficient. Our impression is that this is the standard but better safe than sorry so make sure to book with a reliable tour operator with actual reviews from Trip Advisor, Trust Pilot, etc… A typical car used is a van or a Pajero Type jeepney. Make sure to ask the model or photo of the car at the time of your inquiry. We also learned that we were required by law to hire a guide for every destination we visited. The up-shot was that we got a local person (who was well-versed in the history) to show us all the best bits and that we get to help the local community. Public toilets: When we stopped for lunch breaks, we found restaurants and hotels were equipped with decent washroom facilities but elsewhere the standard was extremely poor that you would rather grow a kidney stone than use their toilet. I often resorted to bush toilets and had to drink less on the road for this reason. Internet: Hotels had Wi-Fi but typically this was only in the shared areas. Elsewhere, internet was unstable at best and using mobile data almost impossible. As digital nomads, we had great challenge keeping up with work while we were in Ethiopia. Hotels: Budget rooms were very basic so, if you are a family or fancy a nice comfortable sleep, I can recommend sticking to the mid-range or luxury hotels. We found even these weren’t as high a standard as in neighbouring countries such as Kenya or Tanzania, but were still fairly comfortable. Supermarkets: The capital city, Addis Ababa, had large supermarkets but there weren’t 24/7 shops or 7/11s. In the suburbs, there were small shops but not too much choices and only local options (which is not a bad thing at all). 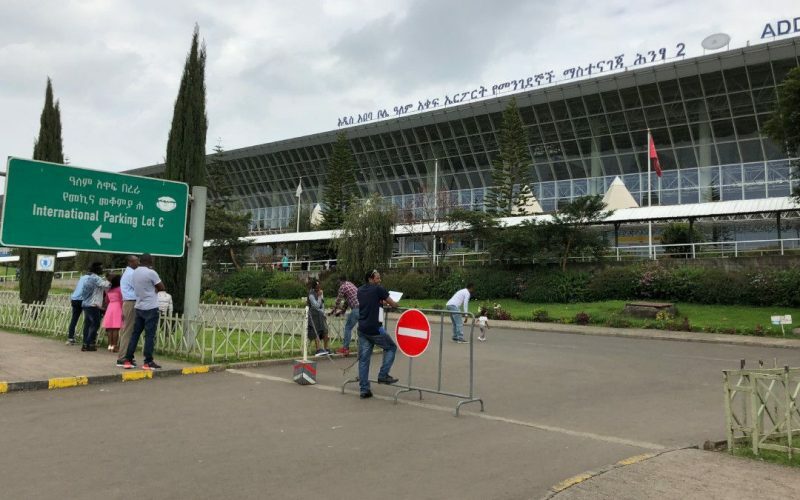 Airports: We found the capital has a large and fairly decent airport, Addis Ababa Bole International. Domestic airports were nice but small and there’s nothing to do to pass time so arrive just in time and either bring your own snack or make sure you have eaten before coming because there were barely any shops too. A book would be useful to keep you company. Electricity and water: The power supply in Ethiopia was decent (we didn’t experience any power cuts) but hot water was limited in most of our accommodation. Ethiopia, on the whole, is one of the safer African countries to be a tourist. We found driving to be one of the best ways to see the sights but I can’t recommend going solo. The lack of maps and internet signal make navigation extremely difficult. There were also cows passing across many of the roads. If you run into them (despite being their fault, lol), you’ll face charges. We also, unfortunately, saw a lot of accidents, which is one of the reasons why I wouldn’t recommend using public transport. The locals were very friendly to us but in the South most especially, they tend to become pushy when they tried to sell something, particularly in the poorer areas. Similarly, some tribes (notably in the south too) asked for 5 birr ($0.18 USD) for every photo, and it did feel uncomfortable as they pushed to get their photo taken. Ethiopian culture can be fascinatingly different to Western traditions, making it an eye-opening place for us to travel. For example, the country, quite literally, runs on a different time. Instead of the 24-hour clock we are used to, many Ethiopians run on a 12-hour system which goes from dawn to dusk, then repeats from dusk to dawn. To give an example, their clock meant 8am in Western time was 2:00 in daylight hours in Ethiopian time — it could be very confusing. We found handshakes to be equally exotic with greetings formed by touching hands, then shoulders. Throughout our trip, we discovered ways of life vary massively throughout the country. Addis, the largest city, is a bustling metropolis bursting with the business, fashion and art you would expect from a major city. However, when we got into the suburbs the pace changed dramatically. Many of the villages were self-sustained with locals making their own coffee, liquor and everything else they need. Tribal life also continues to thrive, particularly in the Omo Valley which is home to around 200,000 people living in eight different tribes. One thing worth mentioning is how much kids there were all over Ethiopia. Ethiopian food is centered around the famous injera, a pancake-like flatbread that accompanied almost every one of our meals. Food was placed on top of the injera, which can be anything from meat stew to beans and you eat this by first tearing a small portion of Injera and then using it to scoop the viand (along with your fingers) and scootch it straight to your mouth. There was plenty of food on offer, much of which was sublimely spiced and delightful to taste. Overall, Ethiopia definitely has a unique food culture. Stews and minced meat were a common dish but I ended up craving some cake or a brownie as desserts weren’t common with fruit the only real option available. Ethiopia has about 200 days of fasting because of their religion. This means they have a very nice variety of non-meat delicacies that would make vegetarians happy. We were also lucky enough to watch one of the wonderful coffee ceremonies, which form a ritualistic bonding event between women and an essential part of Ethiopian culture. It’s a lengthy process that starts with the roasting of the beans, but one that I can recommend to every tourist. They drink a lot of tea as well and they have some nice beers. Conclusion: What Is Ethiopia Like As A Tourist Destination? Ethiopia is a tourist destination like no other. You feel like you’re one of the first ones there. Like you are traveling back in time. Everything is unique and things are done very differently that one might ask, “Am I still on Earth?” Lol. Don’t expect to find bars, get drunk, and meet fellow travelers. This is not Thailand (I love Thailand). Come to Ethiopia if you are fascinated with culture and history. This is not one of those places that you just come to tick-off in your bucket list. I found it had a culture steeped in tradition combined with geographical wonders to create one of the most fascinating places on the planet. And before you come, READ. 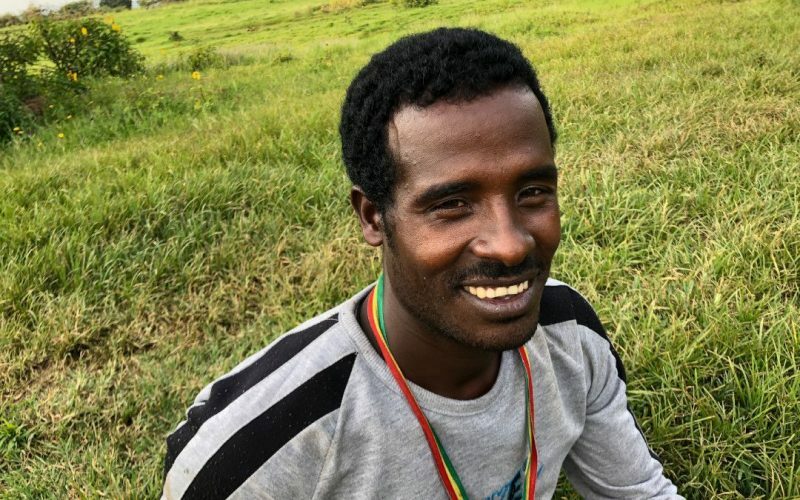 You have to prepare for Ethiopia because the moment you set foot in this country, it will welcome you and teach you about the country’s history, about its century old sites, and hidden gems. Don’t take Ethiopia lightly because its profound history will make you question about yourself too. And after you’ve been, you will not return as the same person.